At Peaceful Heritage, We REALLY Like Pawpaws….. 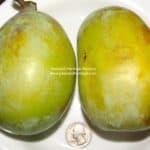 So much in fact, that we have become well known for the premium quality and superior genetics of our pawpaw trees. To accomplish this, we have dedicated a substantial portion of our nursery efforts to finding, testing, propagating, and distributing ONLY the very best pawpaw genetics available on planet Earth! Because we have special access to the largest pawpaw germplasm in the world, as well as our partnership with Kentucky State University pawpaw researchers, and also pawpaw protagonists Ron Powell, Neal Peterson, Cliff England, and Jerry Lehman, we have the latest scientific information about pawpaws as well as the best pawpaw genetic material in the world to work with. You’re in good hands. 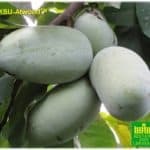 Very few, if any, nurseries that carry pawpaws can come close to matching our level of knowledge and expertise, or match our superior genetics when it comes to this special fruit tree. 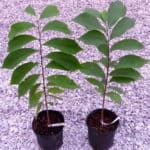 On that note, we also provide every 1 or 2-Year Ultra-Select seedling pawpaw order with enough “Blue-X Tm” tree tubes to crucially protect every tree you buy from harmful UV rays! Please note: GRAFTED TREES and wholesale/bulk pawpaw tree orders do not include Blue-X Tubes unless specified otherwise. Our pawpaw trees are carefully grown in special tree pots in our own nursery-blended, naturally rich, Certified-Organic soil mix. All of our pawpaw trees are Certified Organic or grown in Certified Organic conditions. No synthetic pesticides, fertilizers or chemicals are ever used in our nursery on any of our pawpaw trees. We fertilize only with natural products like kelp, chicken manure and rock powders. 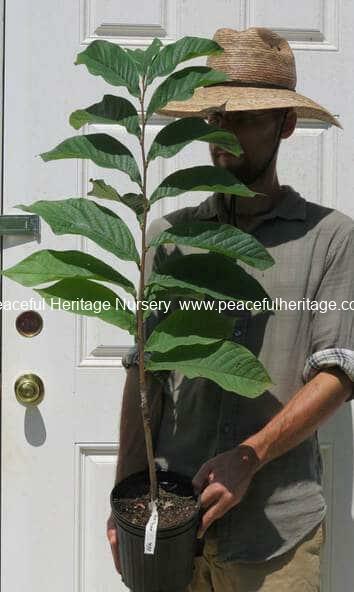 [My Ultra-Select pawpaw trees I ordered] came in perfect condition. I just wanted to thank you guys for such a quick response, and for having awesome customer service. I think all nurseries should learn to operate like what you guys have going on. Thank you for everything, and I will definitely order from you guys again! We aim to be your source for the best of the best pawpaw trees and information. NEW!!! THE SUPREME-GRADE 3-YEAR GRAFTED PAWPAW TREE! Nursery Owner Blake holding our 3-YR, Certified Organic, Supreme Grade grafted Pawpaw tree, only 3 months out of the greenhouse! Notice the large height, robust health and enormous deep-green leaves of these gorgeous, Certified Organic, chemical free trees! Pawpaws on this level of quality and level of care and expertise are ONLY available through Peaceful Heritage nursery and can be found no where else. Do I need to water my trees? How should I water my trees? Yes, water heavily at planting time and again about 1x per week if there is no heavy rain. Keep well-watered (but not soggy) during the first growing season. After that, they only require watering if a drought occurs during hot weather or if growing in sand. If you are growing commercially, keep irrigated as necessary. Hot, sunny, dry weather will sometimes kill non-irrigated, freshly planted trees, so please: WATER AND MULCH YOUR TREES! YES! Mulch is absolutely necessary for good results. In most situations, zero mulch = tree death, due to the young pawpaws being out-competed by grass lawn or weeds. Lay mulch on very thick, but DON”T LET IT TOUCH THE TRUNK. Cardboard under the mulch gives very good results and weed suppression. Woven black plastic ground cover works very well. Whatever you use, keep the area around each tree completely grass and weed FREE. 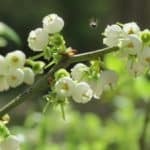 Simply weed whacking / string trimming around your trees won’t give optimal results and is very likely to kill or damage your tree. How many trees should I get? 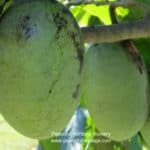 We always encourage people to plant more than you think you need, because pawpaw trees are fragile the first season and USUALLY do great when handled carefully, but don’t always survive. We find about 90-95% survival rate is normal. So, if you want 2, then consider planting 3. If you want 10, plant 11 or 12. If you want 100, plant 105-110 trees. How big do they get? How do I prune them? How long till they get fruit? With zero pruning they will get about 15-20FT tall and wide. With pruning, it is recommended to only prune when trees are dormant, and to lop off the tops of the trees at about 8-12 FT. Some growers find they do great being kept like shrubs at about 8ft-10ft tall and wide through dormant pruning and topping. Branches can be spread to 45-60 degree angles but this is not totally necessary. Basically, prune if you want to, but it’s not necessary with pawpaws. With apples and pears pruning is a necessity. With GOOD CARE, 2 Year old pawpaws grow rapidly and should start to bear fruit in 3-5 years from planting. With poor care, neglect or poor conditions they can take 5-8 years or never bear fruit. While easy to grow, they do take mulch, watering, fertilizer and weed control. For best results plant 8-15 FT apart, but no more than that. 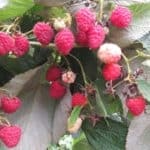 They do well with even closer spacing and can be planted just a few feet apart, but will produce less fruit that way, but, they will pollinate each other well. The close spacing is purely for effective cross-pollination. Pollination is done via beetles, flies and other insects, but not bees. Hand pollination works quite well and results in very heavy fruit set. Do I need a grafted tree or are seedlings OK? Our Ultra-Select seedlings are not your average seedling pawpaws and should give extraordinary results upon growing out. Grafted trees of excellent cultivars are 100% sure in their ability to produce good fruit. 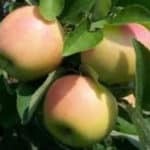 So, if you like the adventure, lower price or non-grafted nature of our seedlings, then try them, or combine them in your planting with our grafted trees. 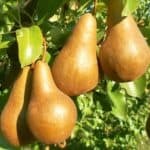 If you want to feel 100% sure of getting excellent fruit and production, then plant our grafted trees. Our seedlings also make excellent pollinizers for our grafted trees, as well as excellent fruit producers. Do I need more than one tree? If you want fruit, then yes. One tree alone will bear zero fruit, or sometimes just a couple of fruits. 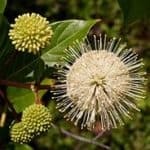 Any two Ultra-Select seedlings will pollinate each other, or any seedling and any grafted tree, or any two grafted trees of different cultivars (ex. KSU Benson and KSU Atwood will pollinate each other, but not two KSU Atwoods or two KSU Bensons planted alone). Different genetics, such as found in 2 different named cultivars or 2 different Ultra-Select seedlings, must be present. 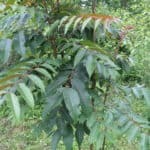 Do deer eat or damage pawpaw trees? Deer will often severely damage unprotected pawpaw trees by rubbing them with their antlers. If you have deer pressure, absolutely protect the young trees with chicken wire cages, just like we recommend with apples and pears. Deer do not eat pawpaw trees but will sometimes nip off a twig or two out of curiousity. Deer will eat ripe pawpaw fruit on the ground. This can attract them to your site which hunters appreciate. Never leave pawpaw trees unprotected where deer can access them. How should I fertilize my pawpaw trees? Fertilize heavily every March, April, May and June. then stop all fertilizing. We use granulated chicken manure and liquid feed with fish emulsion and kelp extract. Our orchard trees are given chicken manure 1x a year in April and given fish emulsion 1-2x a month every March, April, May and June. 10-10-10 synthetic fertilizer works fine but best results are with manures, organic fertilizers and compost. Compost is very beneficial for optimal results as a mulch material. You’ll also need a strong fertilizer such as rotted manure or liquid fish emulsion in order to obtain best results and strong growth. Kelp extract makes a good amendment for trace minerals. 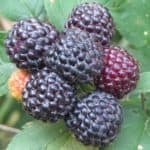 We give young trees about 1 LB of chicken manure each and a 1/2 gallon of diluted fish emulsion in water about 4-8x a season, and always plenty of mulch (kept away from the trunk). 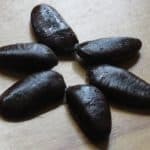 What's up with pawpaws and why should I plant them? There’s a lot to love about pawpaws: this native American tree not only has exceptional natural disease and insect resistance, (which is absolutely refreshing for the gardener), but the exotic, extremely fragrant and luscious fruits are just absolutely delicious. 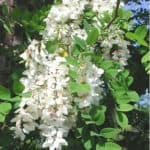 Combine that with a beautiful, highly ornamental, yet small, very manageable tree that requires little to no pruning, little to no spraying and produces buckets of luscious, exotic fruit containing high protein, antioxidants and cancer-fighting compounds and you have a real orchard and family-garden fruit tree friend. Come April the dark maroon, bell-like blooms are prolific, long lasting and very unusual and interesting as well. Why would I want a grafted tree when I could plant seedlings? 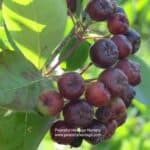 Our background with pawpaws goes back to about 2005 when we would annually hunt the wild forests and parks of Kentucky to locate a precious few wild fruits. 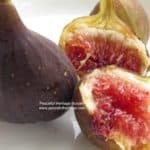 We always appreciated and relished those little wild fruits. However, once we gained experience with superior genetics as well as high quality grafted cultivars, we were totally amazed at the shocking level of difference between those wild fruits we were used to and superior cultivated pawpaws in both size, appearance and especially flavor. There’s really no comparison. Grafted pawpaws will give you a predictable yield and quality of fruits. They are ideal for when you want specific cultivars or are starting a market operation where large size and high quality needs to be 100% sure. 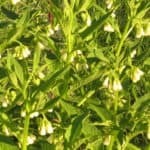 They also grow vigorously, and usually produce fruit sooner than most seedlings. Don't pawpaws have to grow in the shade or in the forest? In nature they are usually an understory tree growing in fairly dense shade. However, if cared for and grown in full sun, they will produce much more fruit, upwards of 10x the yield when grown in the shade. However, to get them to survive in full sun and not get sunburned it is essential that they have protection from intense UV light until they are about 30″ tall. Grafted trees do not generally need this sun protection. To make this easy we include a Blue-X Tube which is a simple tree-protection device with every order of 2-Year trees, and planting instructions. Our 3-Year trees are big enough to not need the Blue-X Tubes. Blue-X Tubes must be removed in September. Do not leave them on past September or the trees may get damaged during winter cold. What kind of site do they need? 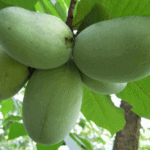 Pawpaws grow best in deep, loamy, well-draining soil on site protected from strong winds and late spring frosts. They do poorly on very heavy, wet, thick clay soil, marshy sites or very exposed, high wind areas, as well as extremely hot, dry areas like parts of California. They like gardens, good orchard sites, protected mini-climates, urban areas, parks, backyards and lawns. They are not marsh trees. They don’t like dense shade. They are flexible to soil type but the soil needs to be well-draining and also of a loose texture. If you have very thick hard soil, then dig a very large hole, backfill with tilled soil, garden soil or topsoil, add some compost, and mulch the tree very well. They need full sun for best production but will tolerate shade as well. 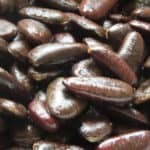 When's the best time to plant pawpaws? To be safe, pawpaws should only be planted from March-July. 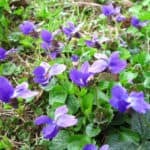 Never plant them in autumn or winter because they usually do not survive planted at that time. 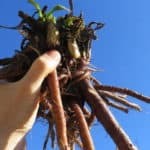 The roots are fragile and any broken roots usually do not callus over in cold weather when trees are dormant, effectively causing the root system to rot, when transplanted in Autumn-Winter. Let’s not do that. That’s why we do not ship pawpaw trees at that time. We’ve got you covered. Do you do bulk discounts on large orders? What would be the ideal setup in my backyard pawpaw grove I want to plant? The ideal setup would be somewhere in zones 5-8 in the humid parts of the USA. The soil should be friable, loose and high in organic matter and therefore dark. The grove would consist of at least 3-5 different trees for excellent pollination. The site would be cleared of weeds and competing trees and vegetation, and would receive at least 8 hours of direct, intense sunlight in spring and summer. The soil would be well draining and not soggy. There would be wind protection in the form of other trees, buildings or privacy fences. 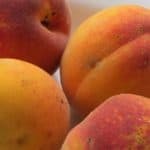 The pawpaws would be planted in large well-dug planting holes at least 15-20 feet from any mature shade trees, planted on the sunny side of them and never in shade. The pawpaw trees would be heavily mulched with rotted wood chips, cardboard or other thick organic matter, and kept 90-100% free of competing grass sod. The trees would be planted 10-15 ft apart in a row or other close formation. Wire cages would protect the base of the tree trunk from animals and string trimmers. The trees would be heavily fertilized every April, May and June with a balanced organic fertilizer or chicken manure and fish emulsion with kelp. In the event of drought the trees would receive supplementary irrigation as needed. Hand pollination would ensure extremely high yields of fruit. There you have it!